Burgundy 2012 Ram 2500 ST 4WD HEMI 5.7L V8 VVT Reviews: * If you need to pull 10,000, 15,000 or 20,000 pounds behind you, the PeterBilt-like towing power of the 2012 Ram HD pickup should do the trick. Source: KBB.com * High-quality cabin; massive torque with diesel/automatic powertrain; massive rear-seat room (Mega Cab); quiet highway ride. Source: Edmunds Taj Auto Mall has over 1,500 affordable vehicles in stock. 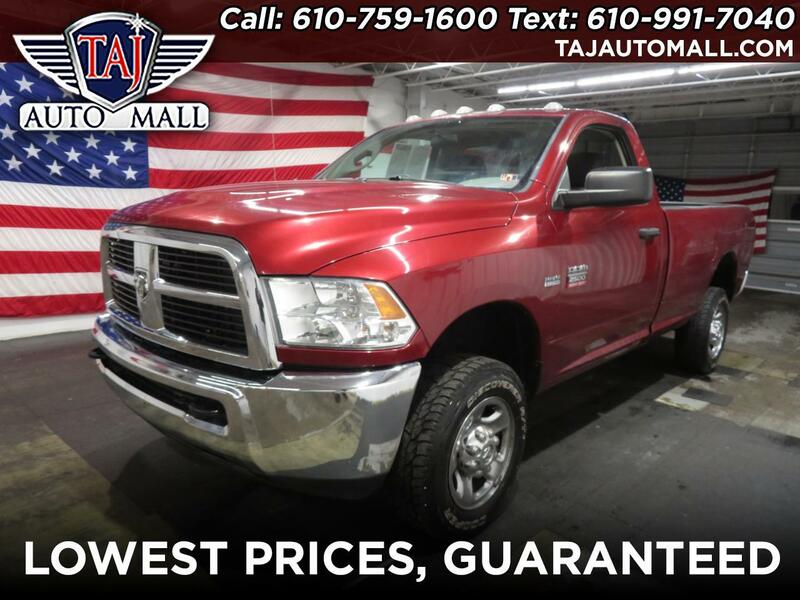 Our dealership specializes in providing you with the best used cars, trucks, and SUVs in the Allentown, Pennsylvania area. Part of our promise to you is that we will always strive to provide you with unbeatable service. Our goal is to go above and beyond your expectations. Our Bethlehem dealership has tons of well-equipped SUVs, trucks, and cars at highly affordable prices. Recent Arrival! So come on down to our dealership in Bethlehem, Pennsylvania. We are open Monday through Saturday from 9 am to 8 pm. Contact us with any used car questions you may have, our number is 610-759-1600. Make Taj Auto Mall your first choice for affordable used vehicles.